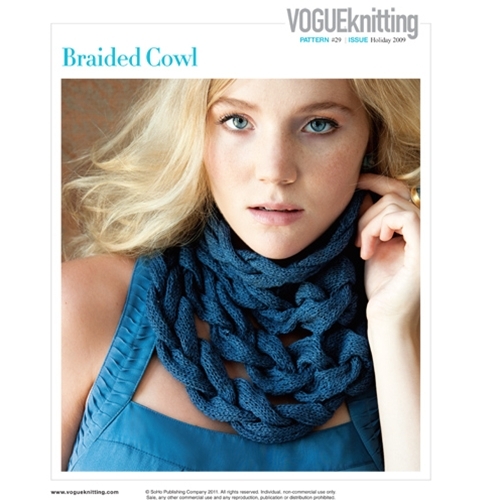 Hale’s braided cowl is pretty enough to double as jewelry. Four cables knit in separate strips and graduating lengths attach to each other at intervals to form this innovative neckpiece. • 24 sts and 32 rows = 4"/10cm over St st using size 6 needles.